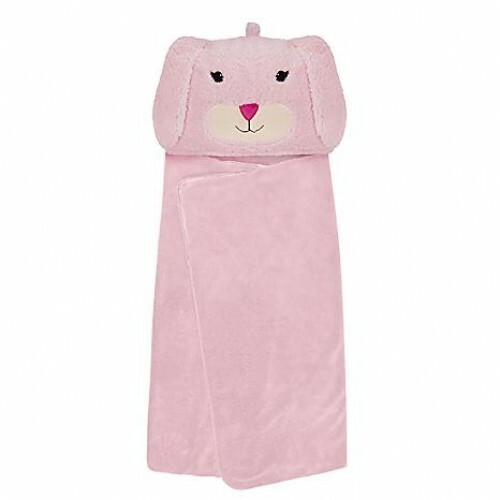 Little bunnies will stay cuddly and warm with this cute pink Bunny Hooded Blanket from Aroma Home. The fleecy soft fabric makes it ultra-snuggly and kids will simply love the cute bunny rabbit face. The clever design means the blanket can be easily folded into the hood transforming it into a handy pillow or making it the perfect size for storing. The blanket even features little hand pockets which kids will love using to keep fingers warm. Blanket size 115cm x 74cm.